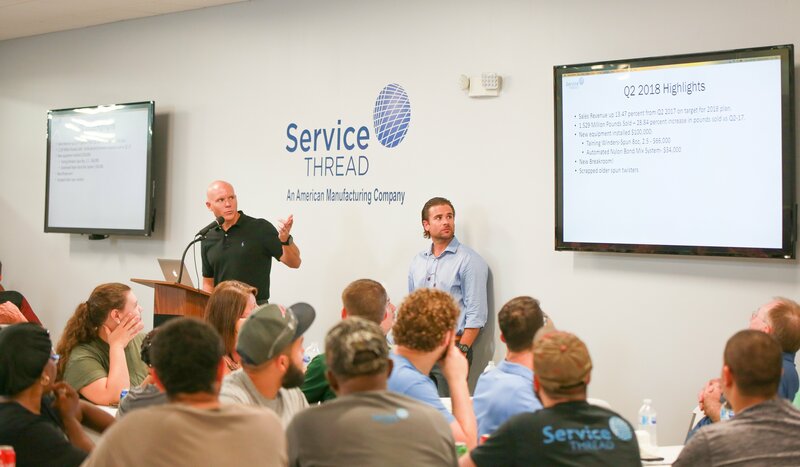 Service Thread COO Jay Todd (left) and Operations Manager Ryne Bullock review highlights from the company's second quarter. All Associates at Service Thread took a break from working to enjoy a catered lunch while being updated with the company’s progress during the quarterly meeting held Wednesday, August 1, 2018. 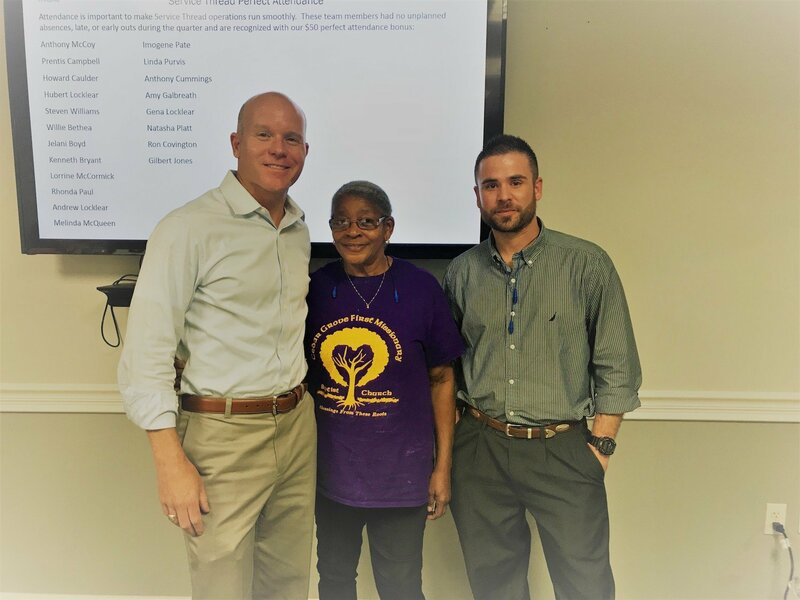 There was a lot to be excited about, as employees were collectively meeting for the first time in the Service Thread [King Street] facility’s newly renovated interactive break room. During the last second quarter meeting held a year ago, these promises of expansion and innovation were first introduced. 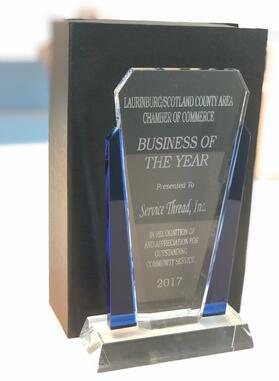 Service Thread announced today that it has been named the recipient of the 2017 Business of the Year by the Laurinburg / Scotland County Chamber of Commerce. Selection criteria for the award required candidates be a Chamber member, be established in the Scotland County area, maintain successful business practices, support and participate in community events and demonstrate innovation and job creation in their business. 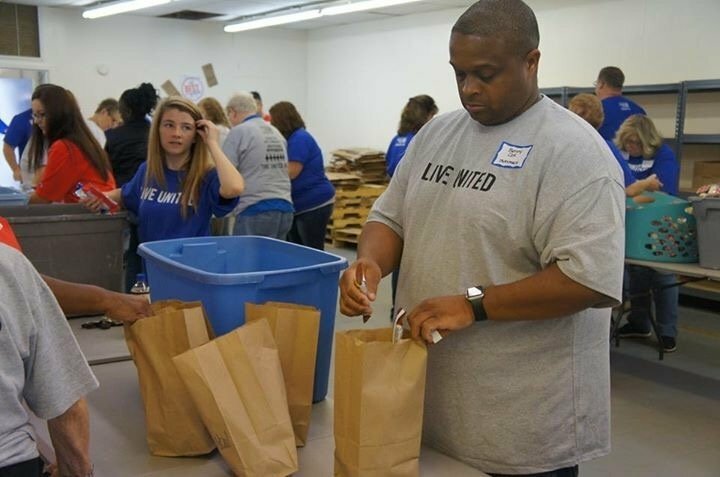 Here at Service Thread we are proud to have a team of employees who are dedicated to bettering the community. Working together to solve problems is a goal we work towards both during and outside of business hours. 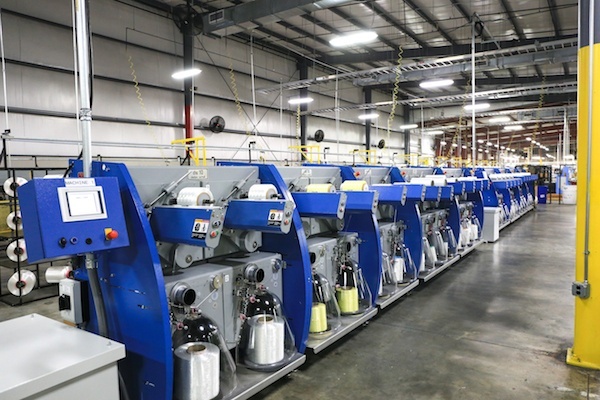 Service Thread has completed the purchase and installation of new technical yarn winding equipment totaling more than $500,000 USD as of June 5th 2017. Service Thread's STAR award is given to employees who exceed expectations that are set and exemplify our core values of: DRIVE, INTEGRITY, INNOVATION, FOCUS, AND EXCEEDING CUSTOMERS EXPECTATIONS. Each quarter employees who receive a STAR award are entered in a drawing for a prize. More than 15 million children (nearly 1 in 5 kids) live in poverty in the United States. The unfortunate reality is that children in our community are not exempt from this staggering statistic. 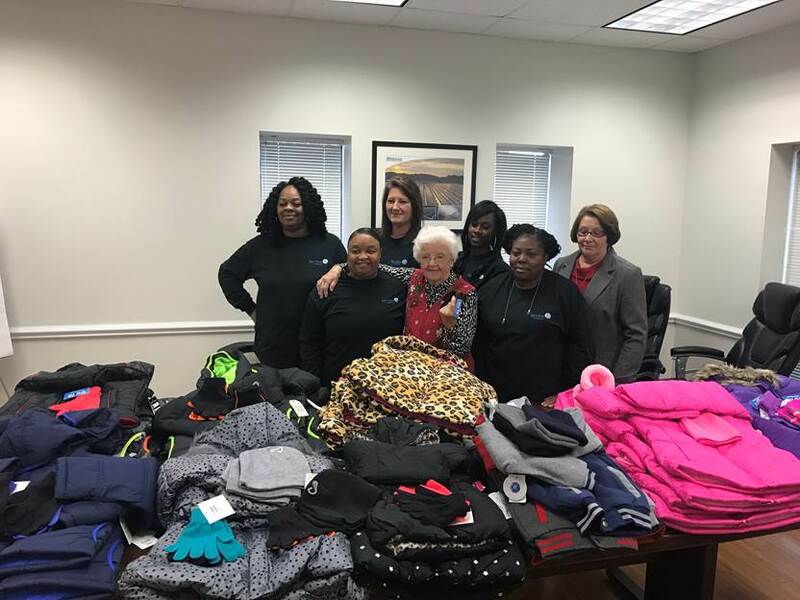 One organization that has made it their mission to provide support for those in need is Onslow Community Outreach and the Christmas Cheer program. 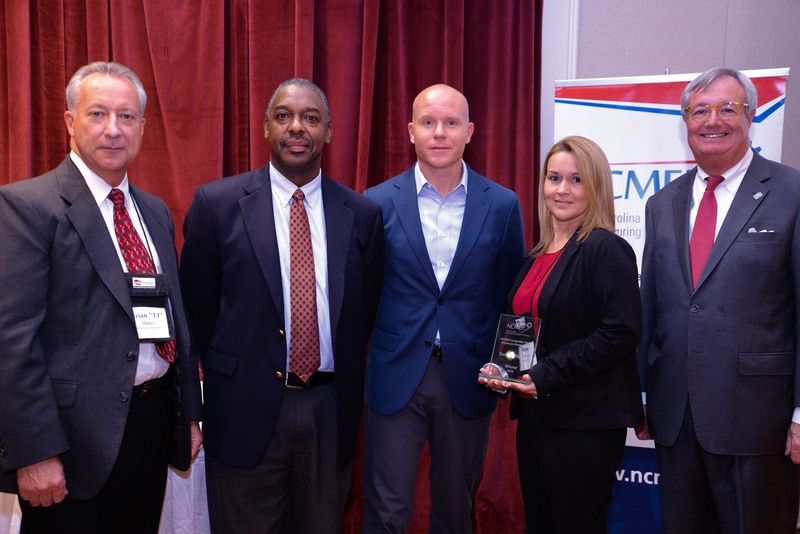 Five innovative manufacturing companies were recognized by the North Carolina Manufacturing Extension Partnership, with Service Thread receiving the 2016 Leadership in Workforce Development award. Service Thread – We Make a Difference! Since our founding in 1942 as Sam M. Butler, Inc, our philosophy has been to provide the absolute best customer service experience for all of our customer partners. In the past we’ve struggled with how to best assess our new hires to make sure they have the skills needed to be immediately successful. In 2011, a job skills assessment system called Work Keys transformed our process. I’ll tell you how it helped our workforce drastically improve their knowledge and skills in less than a year, directly benefitting our company.